The map was created as a printed pamphlet by the RRRC and is available at various locations within the Rifle River Watershed. The guide shows the locations of public access points along the Rifle River. The sites are numbered from 1-16 starting up-river and working down. 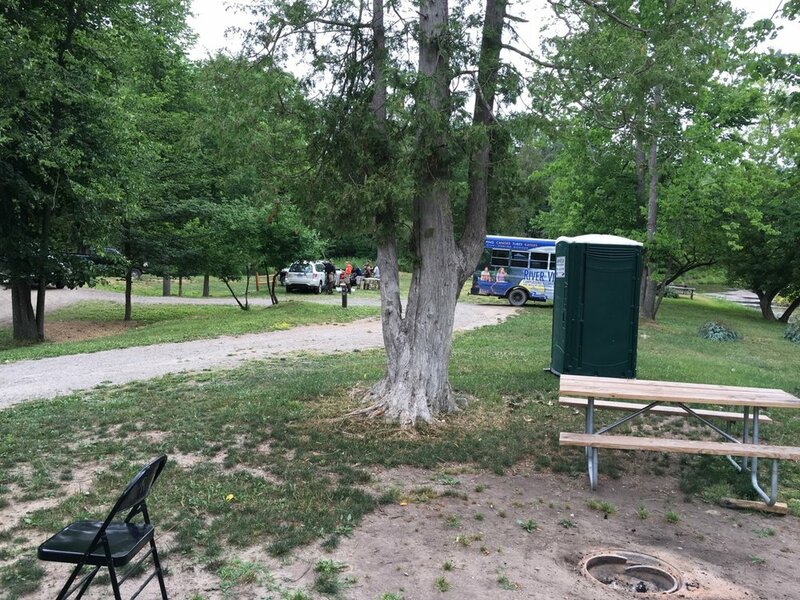 The water-trail map effort was spear-headed by Jim Hergott, RRRC Treasurer and Executive Director of Saginaw Bay RC&D (Resource, Conservation and Development). The RRRC recently placed data loggers in the cold water stretch of the Rifle River and its major tributaries. 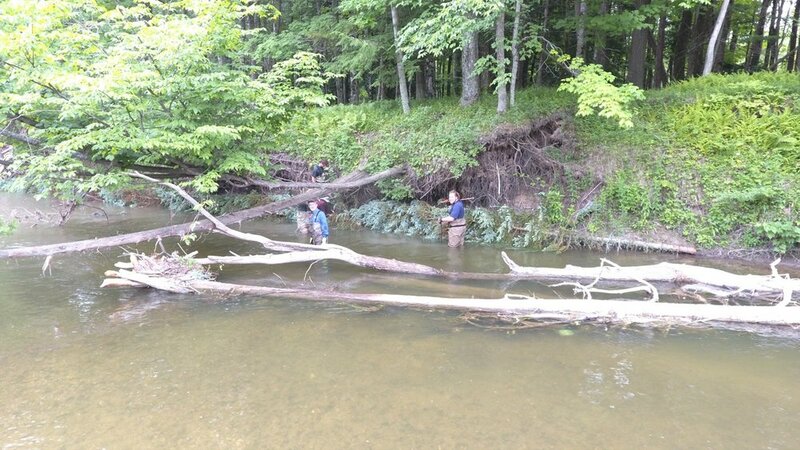 The loggers will record the stream temperature to ensure that stream temperatures remain suitable for fish and other aquatic species. 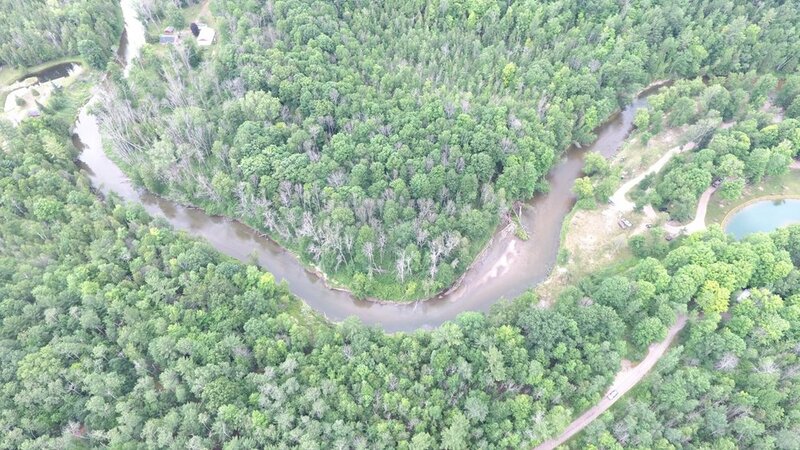 By deploying the data loggers throughout the river system we can identify specific areas of concern and address issues before there is damage to the river ecosystem. 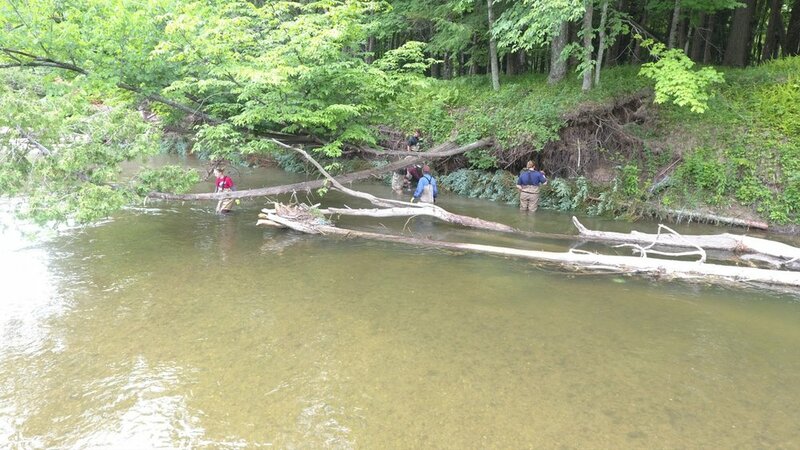 The RRRC is partnering with the Mershon Chapter of Trout Unlimited who began the project a number of years ago. The RRRC acquired additional data loggers to fill in area not being monitored. The loggers will be placed in the spring and removed for reading in the fall. 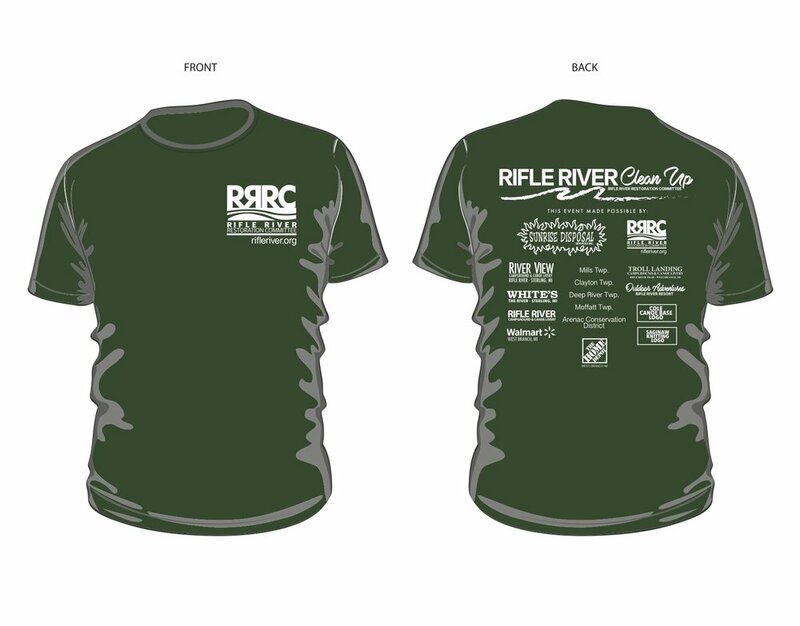 The RRRC partners with a number of organizations to work on projects within the Rifle River watershed. 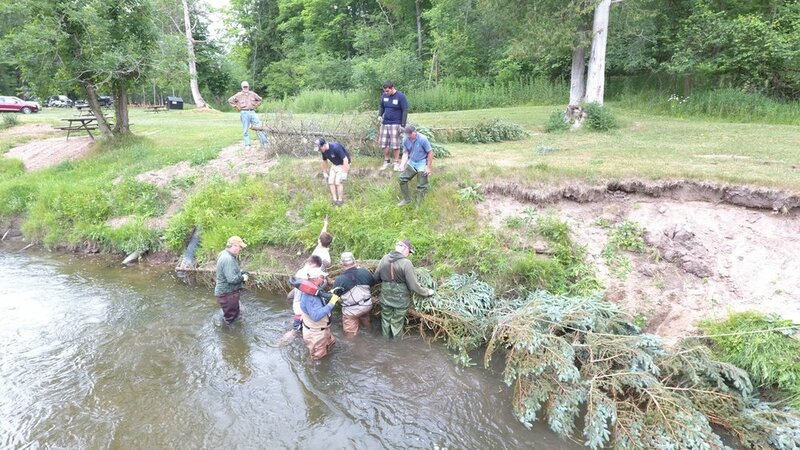 Some of these partners are the Ann Arbor and Mershon Chapters of Trout Unlimited, Huron Pines, Arenac and Ogemaw Conservation Districts and the Michigan DNR. The RRRC is actively looking for new members to help with projects and hopefully expand its program of work. The Rifle River Restoration Committee (RRRC) held the annual Rifle River Cleanup on June 17th, 2017. 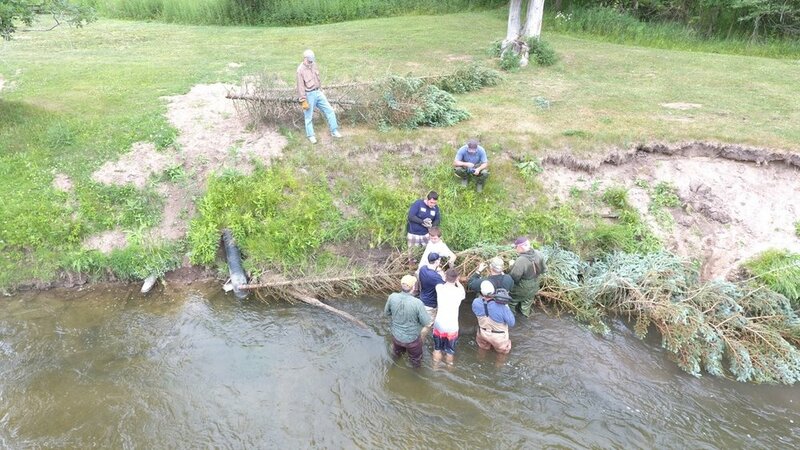 This year several crews split up the river into sections and picked up trash in and along the Rifle River from M-55 down to Sterling, MI. We met at River View Campground & Canoe Livery for registration, coffee and doughnuts at 9:00 AM. Participants received a T-Shirt before loading up on to various shuttle busses to depart for their assigned cleanup stretches. 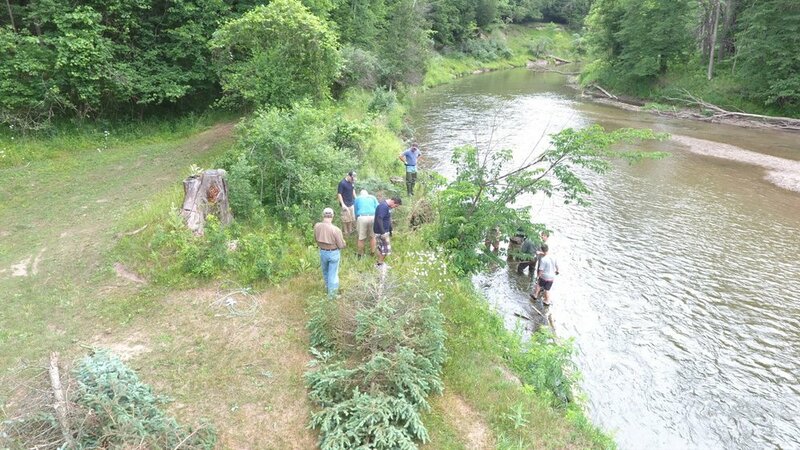 On June 28, 2016 the RRRC partnered with Huron Pines to complete a river bank restoration project along the Rifle River in Deep River Township of Arenac County, MI. 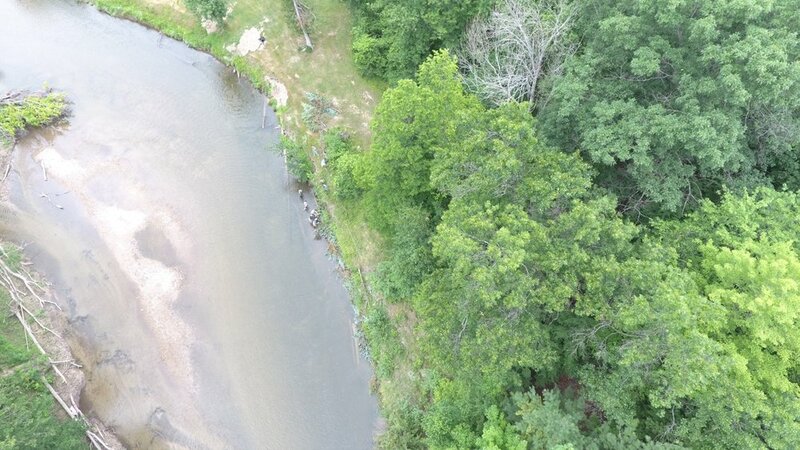 A 500 foot stretch of riverbank was identified at River View Campground & Canoe Livery with considerable erosion that would benefit from a tree revetment. A tree revetment is a process where trees are cut and anchored to the edge of the riverbank which slows down the current and allows sediment to build up and over time fills in completely with soil. The goal is for the revetment to stabilize the erosion happening at the site and reduce future erosion in the area. 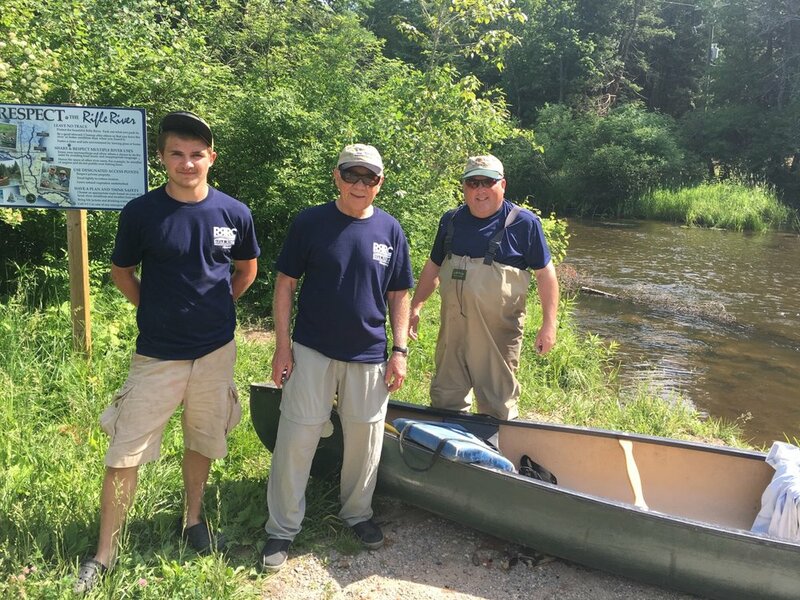 Volunteers from Huron Pines, Rifle River Restoration Committee, Trout Unlimited and River View Campground & Canoe Livery assisted with the project. Trees were sourced from a local area tree farm and anchored to the riverbank. 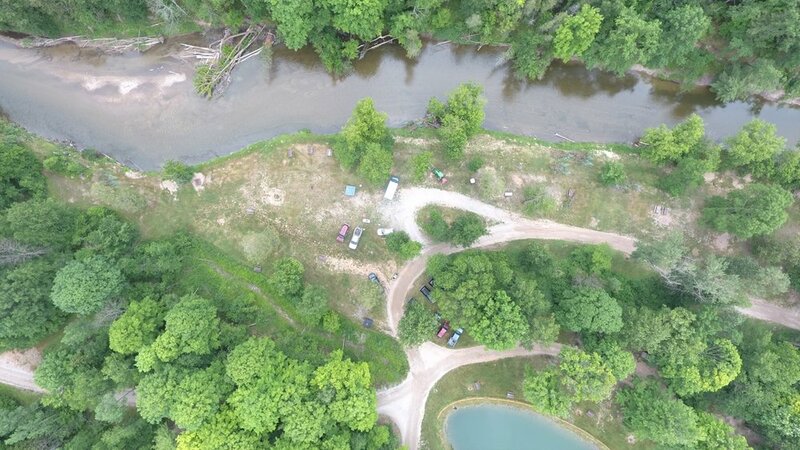 Permits and fees for the project were completed by the property owner and approved by the Michigan Department of Natural Resources. 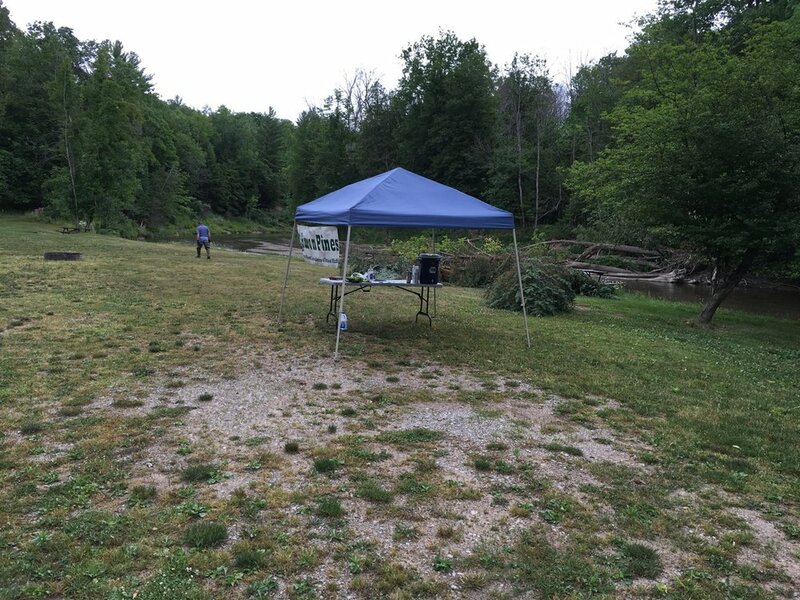 The Rifle River Restoration Committee (RRRC) held the annual Rifle River Cleanup on June 18th, 2016. 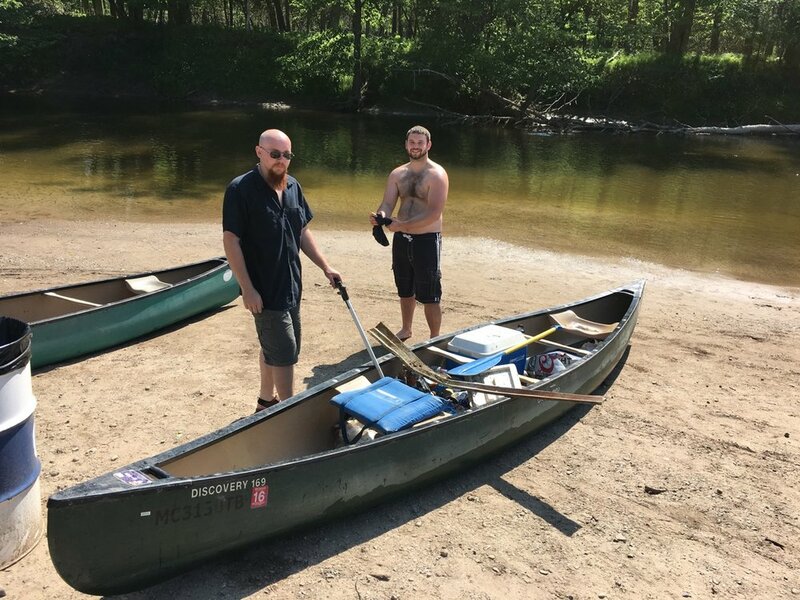 This year we picked up trash in and along the river bank from Sage Lake Road to Troll Landing. We met at White's Landing in Selkirk for registration, coffee and doughnuts at 9:00 AM. Participants received a T-Shirt.